For the majority of exhaust units that we use, the distance between the top of your stove top & range hood should be between 27" to 34". If unsure, please check first. 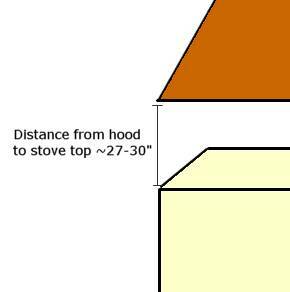 For some under cabinet range hoods, this distance will be reduced to 24"-27" depending on the model of fan used.